This page will consist of my programming projects mainly for the PC and written with Visual Studio. You can download them and use them as you wish. 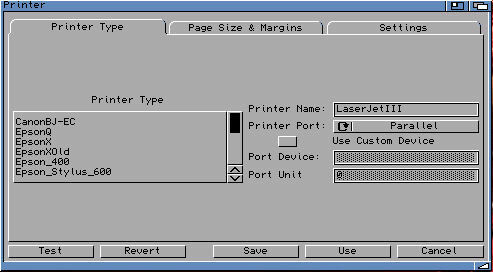 This project is to deliver a working Printer Preferences for AROS (AROS Research Operating System). I have decided to use MUI (Magic User Interface)/Zune for the graphical interface (which by the way is my first MUI/Zune project), and will be Localized (another first for me) using FlexCat program. It will be available to download here and the AROS website. 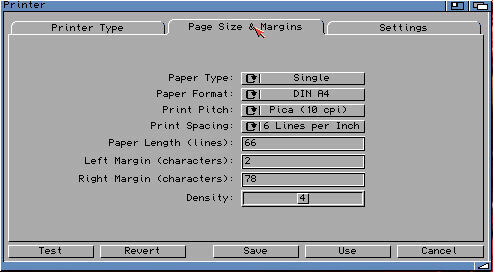 Amiga 500, 1200, A4000 and CD32 manuals in PDF format covering hardware, workbench and AmigaOS with illustrations for those with Amigas but no manual. Manuals now hosted on Aminet. Download links changed to Aminet hosted links. Some of the documentation that comes with StormC is in German and not in English. So I have translated the German docs into English. Sorry, about the broken English in places as my German skills are pretty poor and the online translation facilities do not always get it right. Download contains english translations for: StormC4, Compiler, ProgramStart, Includes+Libs, StormEd, StormRun, StormDoc, StormShell and PowerAsm. This project helped me to learn Visual J# and Java using Swing mixing a turn based game with an event based language. I tried using Java first but couldn't get my head around the event based system, so I turned to Visual J# and Visual Basic. Once those were done, I then switched to Java and Swing which is a very nice language. You can play the game online and download the source here as well for all the languages so you can see how it was done. J#, C++ and Java are very similar, if you learn one you can learn the others very quickly, J# is like Java but uses .NET for the interface instead of AWT or Swing but it makes a good rapid development tool. If learning Java I would recommend a good IDE rather than use Notepad, it'll save a lot of time. For latest Java, using Java Web Start and JNLP to launch the program is the best method now-a-days. 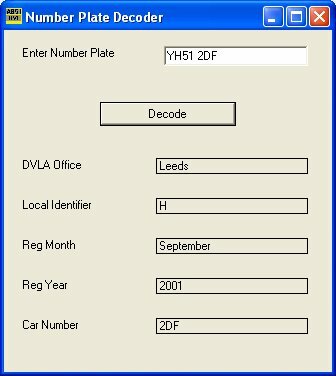 Play the game using Java Web Start and JRE 7..
will convert the older pre-fix number plates into year of registration as well. Written in VB and will run on any version of Windows. Requires .NET Framework and Windows Installer. 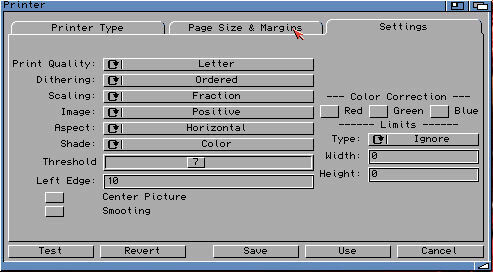 See a picture of the program in action here.